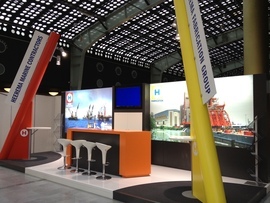 Heerema (Heerema Marine Contractors and Heerema Fabrication Group) will participate in the Offshore Europe Aberdeen from 3 to 6 September 2019. SPE Offshore Europe is recognized by offshore E&P professionals as Europe’s leading E&P exhibition and conference. Attending will ensure you are up to date with the most significant and innovative technologies and can benefit from connecting with a global network of 36,000+ attendees and 900+ exhibitors.